Does my horse need some sort of a USDF horse registration to compete at a USEF-licensed/USDF-recognized dressage competition? What is the purpose of the horse identification (HID) number? Does the USEF also required a HID number to compete? 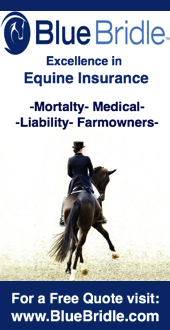 What USDF membership or registration do I need to compete for Adequan/USDF Year-End Awards, or qualifying for Great American Insurance Group/USDF Regional Dressage Championships? I am a youth member of USDF. Can I be the recorded owner of a USDF registered horse? Do you need my horse's breed papers on file? I want to participate in the Adequan/USDF All-Breeds Awards program. Is there anything I need to do? I am leasing a horse for the show season. Can I register him with USDF, or does the owner have to register him? Is there a charge for recording a lease agreement with USDF? Do I have to be a member of USDF to register my horse? I am going to a show and have not received my horse's number from the USDF office yet. What do I do? I have misplaced my horse registration certificate. How can I get a copy? What is the purpose of the HID number? The HID is a tracking number assigned to the horse, in order to be able to track the horse's performance throughout his competition career. It also makes it possible to track the performance of offspring of sires and dams. Does the USEF also require a HID number to compete? Yes, they do, however, for horses competing in a recognized dressage competition, there is no need to complete an application for a USEF HID number if you already have a USDF HID or USDF Lifetime Registration, or are planning on completing an application for either at a competition. USDF will provide USEF with your horse and owner information, thus meeting the USEF requirements. You can use the horse number issued by USDF for any USEF-licensed/USDF-recognized dressage competition. *Any horse participating in a Breeders' Championship Series Final, Great American Insurance Group/USDF Regional Dressage Championships or qualifying classes, or Adequan/USDF Year End Awards program must be USDF Lifetime Registered at the time the scores are earned. *Any owner and rider participating in a Breeders' Championship Series Final, Great American Insurance Group/USDF Regional Dressage Championships or qualifying classes, or Adequan/USDF Year End Awards program must be a USDF Participating Member at the time the scores are earned. For information on rider/handler/owner/horse eligibility for specific programs, please refer to USDF Member Guide. Yes, USDF allows youth members of USDF to be the recorded owner of a USDF registered horse. Horses are not required to be breed registered in order to be USDF HID or Lifetime Registered. If your horse has breed registry papers, USDF requests a copy of those papers. If you are interested in competing in the USDF All-Breeds Awards program, you must submit a copy of your horse’s breed registry papers, a completed All-Breeds Declaration Form and $35 declaration fee by August 1 of the current competition year. Please refer to Important Information for All-Breeds Competitors and the next question for additional requirements for the Adequan®/USDF All-Breeds Awards. You can either fax (number in footer below) or mail a copy of the breed papers to USDF upon registration. You must submit a copy of your horse’s breed registry papers, a completed All-Breeds Declaration Form and $35 declaration fee to USDF by August 1 of the current competition year. Additionally, it is recommended that you contact your breed organization for any requirements they may have. All horses must be declared for the All-Breeds Awards to be eligible for the Adequan®/USDF All-Breeds Awards. Further information about the declaration process for the All-Breeds program is available at Important Information for All-Breeds Competitors. 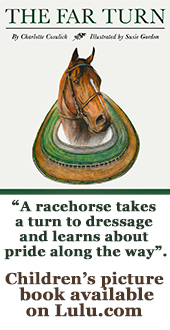 You may contact allbreeds@usdf.org with any questions. In order to be on record with USDF as the lessee, you can register the horse listing yourself as the lessee and supply the USDF with a completed copy of the Lease Recording Form (see forms & documents) and $35 Lease Recording Fee. 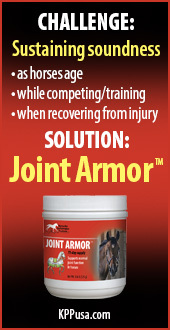 For additional information you may contact horseregistration@usdf.org. Yes. A lease recording fee of $35 is required for each lease recorded with USDF. If the horse is being registered at the same time the $35 lease recording fee is in addition to any registration fees. Lease recordings can be renewed at least 30 days prior to the expiration date free of charge. No, an individual does not need to be a USDF member to register a horse with USDF. But remember that USDF membership for both rider and owner are required for many of the USDF award programs. You should refer to specific rules for the program that you are interested in. See the awards section for more information. You have several options. If you applied online, you can use the online verification that you printed when you applied, as proof of membership. If you have misplaced that, you can get a copy of it from the Web site at Print Verification of Membership/Horse Registration. This link can also be used to find a verification for a horse registration that was either mailed or faxed in with a credit card number. If you applied for your horse's registration at a show, you can use your copy of that application as proof of registration for up to 60 days. Certain transactions do not have the online payment verification available (horse transfers, name changes and registrations sent in with checks). For these types of transactions, you will need to fill out an affidavit form at the horse show for a fee of $5.00. This form is available at the secretary's office. 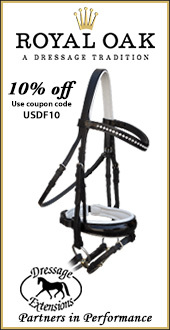 Keep a copy of this form for use at other USDF events for up to 60 days. The USDF Web site allows you to print a copy of the horse's certificate once the horse has been assigned a number by using our verification/search page. You can also order a duplicate certificate for $10 by contacting the Membership department.